Scored with original music by David Ari Leon. 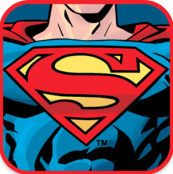 The top-selling Superman game for iPhone & iPad by Warner Brothers/EA released November, 2011. Here is an audio sample of one of the music tracks.